Every Thursday is review day. 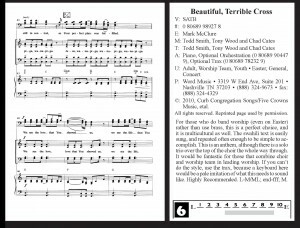 Each week’s review may be about a different type of product, but the “default” reviews will be from Creator magazine’s Select 20 anthem reviews. 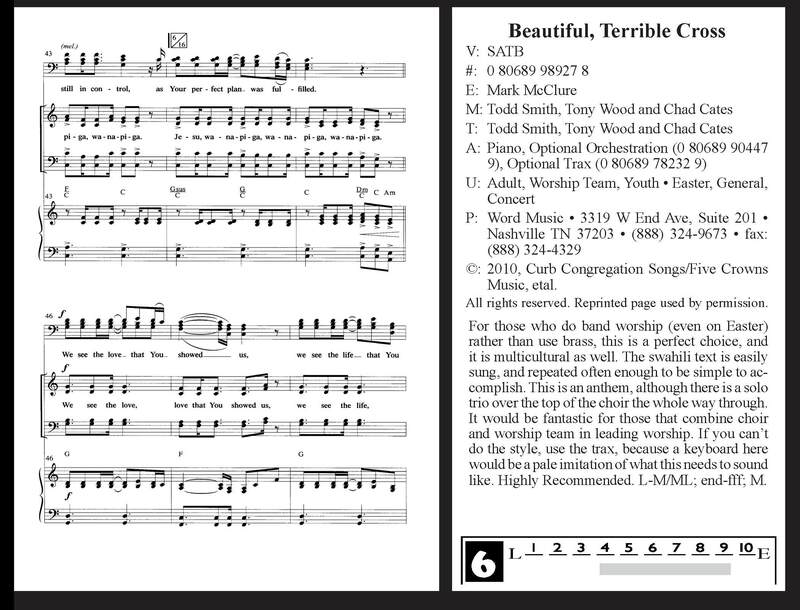 Here’s this week’s review Beautiful, Terrible Cross arranged by Mark McClure…Click on the review to see a bigger image.